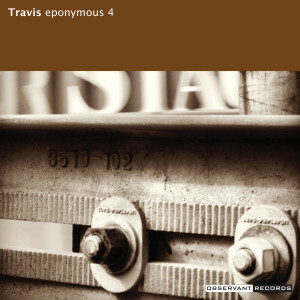 As I mentioned back in my State of Eponymous 4 Address back in 2014, I had a set of songs ready to record for an album titled Travis. At the time, I thought I’d work on it immediately after Retrograde Songs, but my attention got diverted to Empty Ensemble, which will release its debut EP and LP in 2016. Well, I’ve spent the last month focusing on Travis, and I’m happy to announce the album is in the can. Because I don’t want to steal thunder away from Empty Ensemble, the album won’t be released till September 2017. Of course, that doesn’t stop me from posting a preview. You can listen to it now if you become an Eponymous 4 subscriber. I approached this album a lot differently from the Ex Machina series. I finally employed a guitar amplifier and pulled an old, cheap microphone out of retirement to record parts. The rhythm section is entirely programmed, but everything else is recorded live. I’ve also invested in a better class of plugins, so the sound should actually approach something more professional than what’s come before. This album really opened up some new ways to work, and I look forward to applying those lessons to the cover albums.